FELTHAM - With the demand for food regulation and certification constantly growing, companies are continually looking for new ways to increase their screening output. 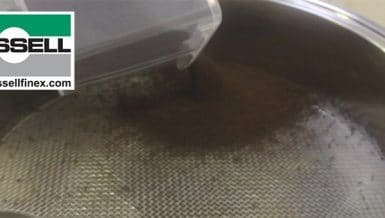 In this demonstration video, pistachio and rapeseed powders are sieved using a Russell Finex 22" Sieve, in order to consistently obtain the finest grade powder. 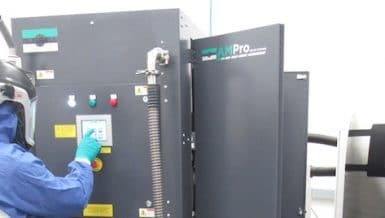 The company devised a cryogenic method, of freezing the powders with nitrogen, before the sieving process to help reduce the release of oils during the process, which can result in blocked meshes. However blinding of the mesh can still occur, which can reduce flow rates, increase loss of good product, and increase downtime in the production process to clean the mesh. 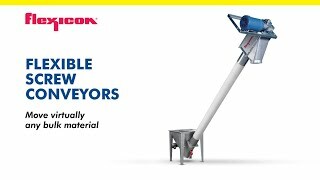 Upgrading the Finex 22™ Sieve with an ultrasonic deblinding system eliminates mesh blockage, allowing powders to be screened consistently and effectively. The batches of nitrogen-processed pistachio powder are fed into the Finex 22™ Sieve, where the vibration of the machine, available in high-speed for difficult applications such as this, sieves the powder through the 500 micron mesh. An ultrasonic frequency is applied to the mesh, breaking the surface tension, which eliminates mesh blinding and keeps the screen area clear. The undersized good product is extracted, a high-quality uniform graded material. Contact Russell Finex to discover how their sieving and filtration solutions can fit into your new or existing production processing line.